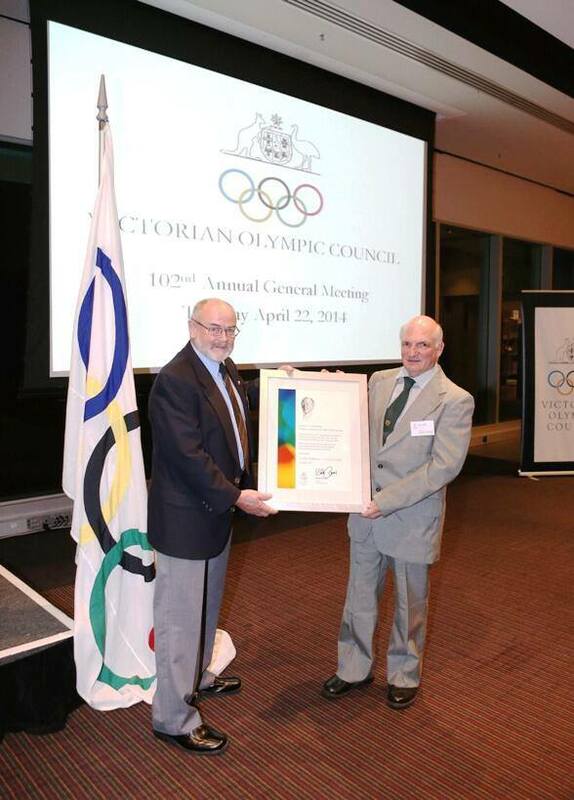 Congratulations to GCC stalwart Neville Williams who was a recent runner up in the Julius Patching Sports Official of the Year Award; at the 2014 Victorian Olympic Council Inc AGM. An outstanding achievement and thoroughly deserved accolade for one of the country’s most outstanding and respected cycling officials. Neville was an accomplished cyclist in his own right before turning his love of the sport to officiating. Along with his wife Pam, they are regulars at most CV and national races. GCC is lucky enough to have them present at our track racing and when their busy schedule permits at our road events.